This past weekend I did a manicure on my good friend and reoccuring client. 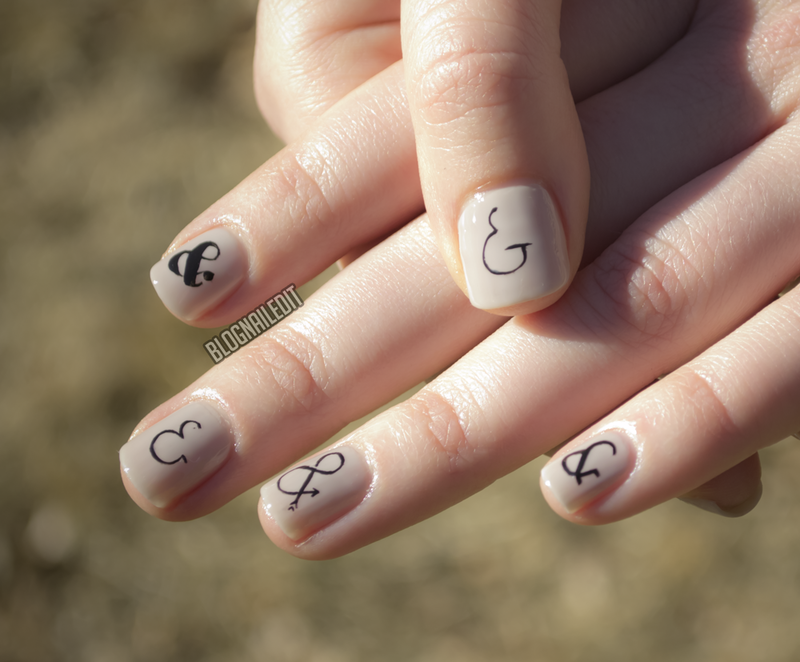 She asked for a variety of ampersand symbols on her nails in different fonts. This is the end result, and I'm thrilled with it! Every one of them was done freehand using a small brush and Black Onyx (OPI). The base is the beautiful 3 Free-dom from Sation. It's probably the crowning jewel of my nail school career, so it's fitting it's one of my last! Which ampersand is your favorite? 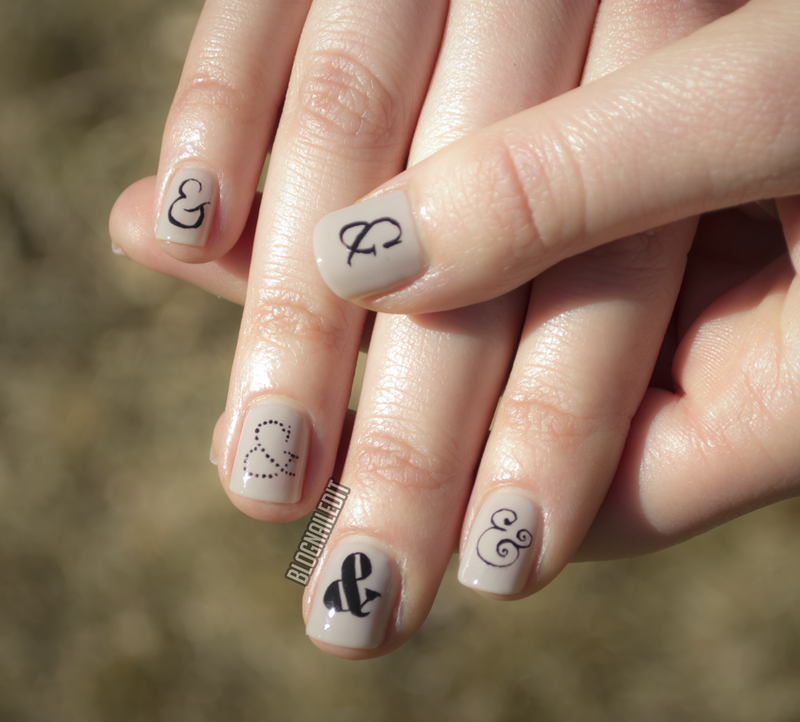 I can't choose my favourite ampersand - I love the whole mani! You have a quite stady hand, all of the ampersand are perfectly done! How cool! I'm impressed, I have a hard time writing those. This is so cute! I love both index fingers, as well as the left ring finger - the arrow is so cute! This manicure speaks to me. My gosh, I'm obsessed. 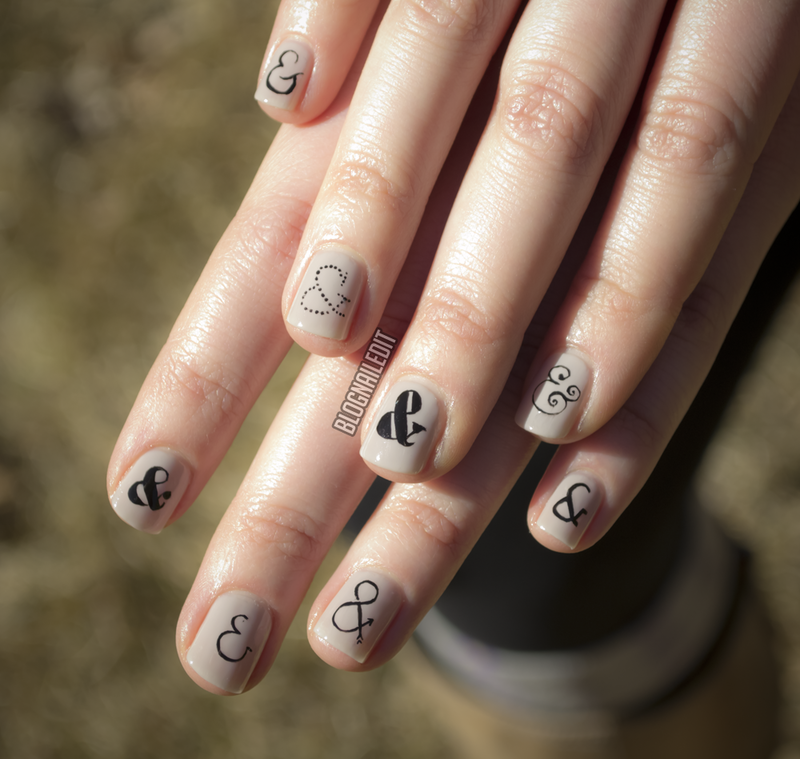 (I'm a wee bit of a design nerd and ampersand fanatic!) Great job, it looks so clean! Wow, that's so gorgeous! I had a hard time believing it was freehanded at first, because it's such fine and delicate work. Just amazing. Wow, I can't believe this was all done freehand! It's amazing.